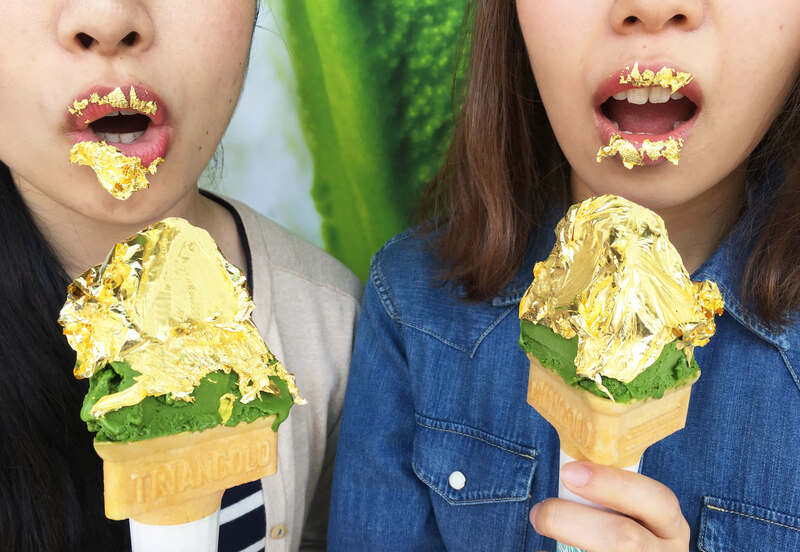 Gashoan Oyaizu Seicha’s main store in Shizuoka Prefecture has upgraded its most popular product―the matcha gelato―by adding gold leaf to it. It’s gaining much popularity right now on social media. 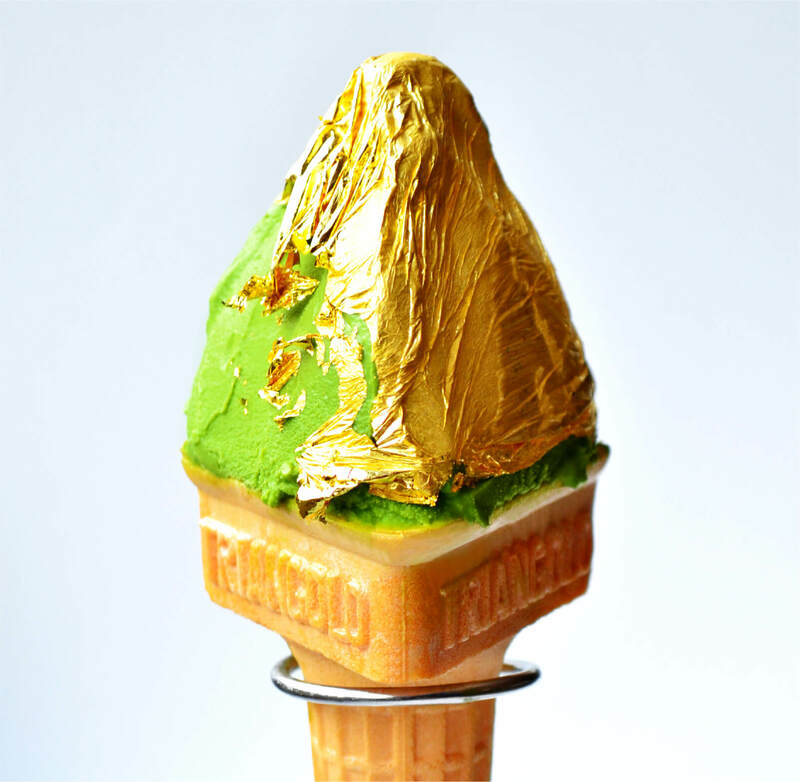 The type of matcha used for the gelato is called tencha and is grown by the company in Shizuoka. Using more freshly-ground matcha than ever before, it is mixed with and complemented by high-quality milk. It has a rich flavour but the aftertaste is refreshing. Though it’s rich it’s not at all too bitter as matcha can be. The reason for its popularity lies not only in its flavour but the fact that it has you spontaneously snapping a photo to post online. 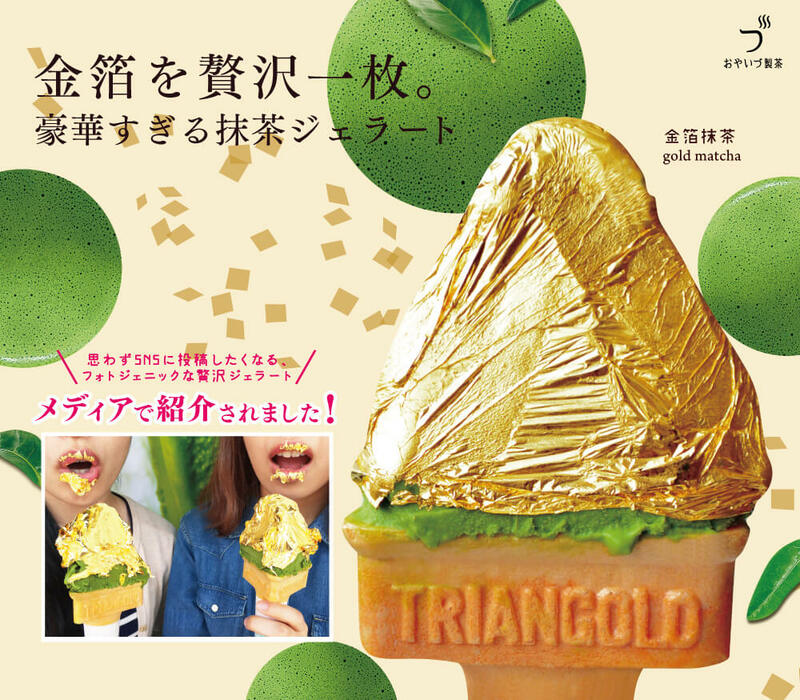 If you’re in Shizuoka then be sure to try it yourself!